ON THIS DATE (June 13, 1947) ... The Red Sox inaugurated night baseball at Fenway Park tonight in a fashion pleasing to Bostonians when they tipped over the White Sox, 5-3, before a bear capacity gathering of 34,510. Had Abner Doubleday witnesses certain portions of the performance he might not have recognized the game he started. The Red Sox, picked up a half game on the leading Detroit Tigers, had a big fifth inning when they came up with five runs on a combination of walks, errors and infield hits. It was the Red Sox’ fourth straight win. As early as 6 o’clock crowds formed long lines to be sure and see this No. 1 arc tilt. … You couldn’t get breathing space in the park. … The brilliance of the new lights startled the capacity throng. 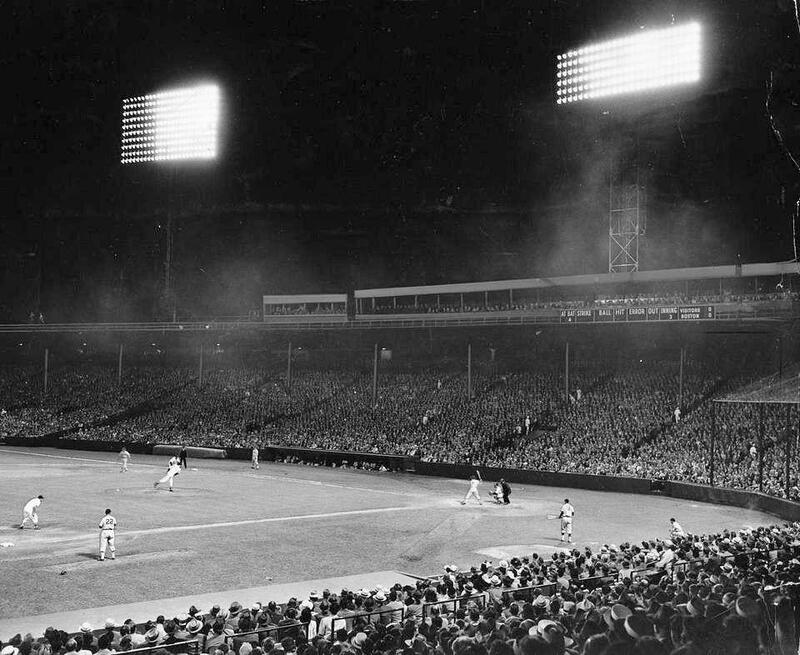 … Pertinent data of the lighting system says they make Fenway one of the two best lighted ball parks in the world. It is equaled only by the Yankee Stadium.